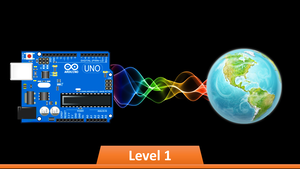 This course is LEVEL 3 as part of a larger comprehensive training program divided to levels that are all about Arduino and the eco-system around it. Each course covers a specific group of subjects to let you develop and grow your skills in a step-by-step pace while enjoying the long journey. Section 3 : Step 2 - Ethernet Shield - Get Connected ! Section 4 : Step 3 - WampServer - Hosting your own Web Server !